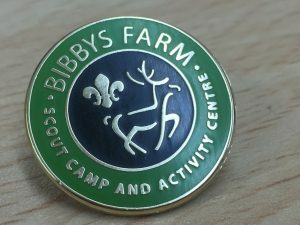 As you may know, we are currently seeking to fund two new buildings at Bibbys Farm. The first project is an additional accommodation “Bunk House” that sleeps up to 18 people. We already have the plans, planning permission and building regs approval and have recently appointed a builder who has started work on phase 1. We now just need enough funds to fund the second phase which is to internally wire, plumb and fit the building out ready for use. To help fund the bunk house and sponsor one or more of the 1048 building blocks we need, please purchase via our on-line shop or physically on-site. The 2nd project is a new activity barn to replace the existing one which is a very old, original farm building and needs replacing with a “state of the art” facility to match the rest of the site. Whereas we’re seeking external funders for these projects, we have also had some of our users express a desire to support these developments and so we’ve set up this building fund appeal. All monies donated will go to fund either/both of these new developments. Here’s our Leaderboard of donations. Can you make the top 10?